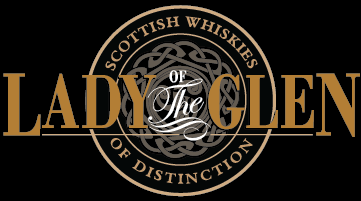 Lady of the Glen is the creation of Gregor Hannah, Managing Director of Hannah Whisky Merchant, a young entrepreneur, who decided to take a leap of faith and set up his own independent bottling business. After years of ranting about how much I hated working for the bank – I was so miserable getting out of bed in the morning that it was really beginning to affect my relationships with people – my wife Dawn, finally encouraged me to start Lady of the Glen, an idea that had been floating around my head since my first year at university in 2004. My goal was to slowly build a family business that was synonymous with luxury, quality and distinctive Scottish flavours and I firmly believe that if we stick to our values we can build something very special. Hannah Whisky Merchants Ltd has existed for just over a year now and I am genuinely excited about the progress we have made in such a short space of time. We set up with the intention of selling deluxe whisky from distilleries which had either closed down or only produced a small amount of certain whisky. With the tight control large businesses have over the industry we also felt that it was important to rescue certain good quality whisky from being lost in blends. The premises are very modest, just bottles, boxes and other storage materials made of cardboard. All of my business is done from my wee laptop. The casks are kept in storage. With this small idea in mind we pushed forward but were held back by every type of problem a small business can incur such as design problems, a lot of unexpected costs, lack of help (financially) from the likes of business gateway, Scottish Enterprise and other organisations which preach help but give little practically. Another pressure was caused by couriers; I am sure that anyone who runs a business wants to pull their hair out; and to be honest we could not have met our delivery timeframes without the help of friends and family who would volunteer to wait in on deliveries for us. In all honesty there was a lot of stress and tears to get this product up and running to the standard that we both wanted and we are ready for any new challenges that the next growth stage in 2014 may bring. Dawn and I were married in Dalserf Church in the Clyde Valley on 7 Sep 2013, and as you can imagine the run up was extremely stressful. We were in our first year of business, we were both working full time jobs and on top of that we had in-laws turning our small intimate wedding into a family extravaganza from hell. I would come in from working a full day, to hear about table decorations and cake, and then have to sit till 3 in the morning packing our orders. The month before the big day Dawn banned the word whisky from our house; which was difficult because that was when things were really beginning to pick up. It all came good in the end though as we managed to sell all of our Benrinnes and Invergordon (something I didn’t see happening till 2014) and I am now a married man trying for a family. We would thoroughly recommend having a look, a great business, family run, with palpable passion and a truly nice guy at the helm. We were fortunate enough for Gregor to provide us with a sample of the Lady of the Glen – Caperdonich to review, find the link here.